On the 30 of July the Catholic Parliamentary Liaison Office, in collaboration with the Scalabrini Institute for Human Mobility in Africa hosted a Round Table on the human cost of undocumented migration, and potential alternatives to irregular entry to South Africa. 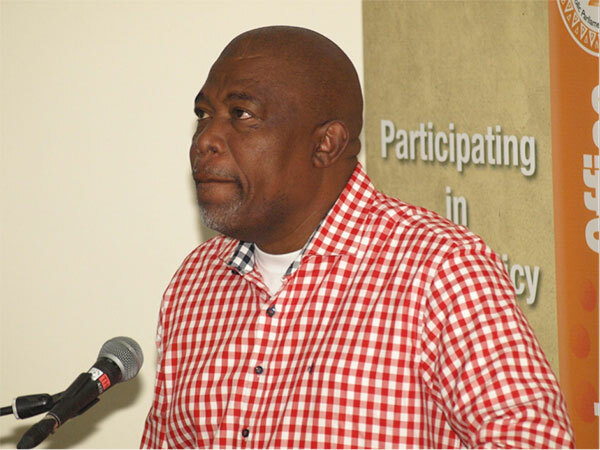 The presenters were Jacob Matakanye, Director of the Messina Legal Advice Office, Rene Manenti, Executive Director of the Centre for Migration Studies in Rome, and Dr Zaheera Jinnah from the University of the Witwatersrand’s African Centre for Migration and Society. Fr Peter-John Pearson of the CPLO moderated the discussion. The discussion and presentations centred on the difficulties faced by undocumented migrants who risk their lives to enter Europe and South Africa. Below: Jacob Matakanye of the Messina Legal Advice Office discusses his experiences working with immigrants in Musina, Limpopo Province. 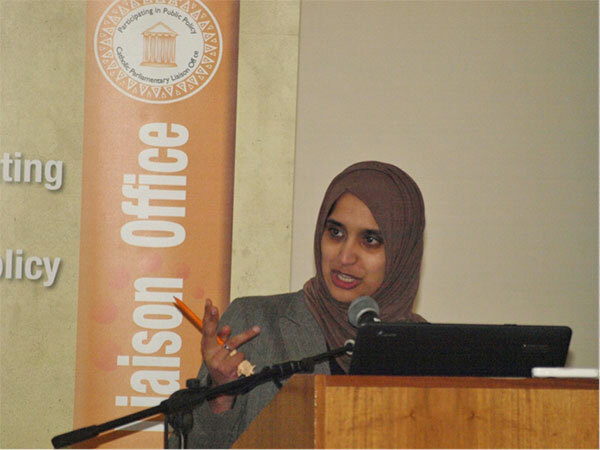 Below: Dr Zaheerah Jinnah of the University of the Witwatersrand speaks on the topic of alternatives to undocumented migration in Southern Africa.